The place is well-interiored and equipped with high speed internet. This can accommodate up to 4 people. It has kitchen utensils that guests may use to prepare meals. This particular property is on the higher level which guests may enjoy the beautiful city view at night. Smoking can be allowed outside the unit at the exit area. The building has a 24 hour security and elevator access. Note: elevator can be so slow at times specially morning and evening. 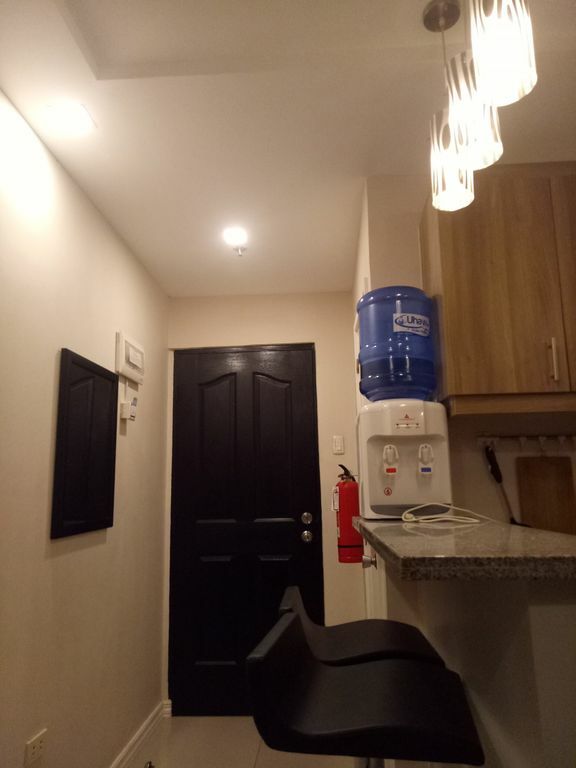 It is great location as it is just few steps from SM City Cebu, more or less 5 minutes from Robinson Galleria, about 10 mins from the Cebu Port and more or less 20 minutes from the Mactan Airport. Also note that this particular condo listing does not have amenities like swimming pool, gym, garden, children's playground or even parking space. We also have other properties in different locations in Cebu City. Please do not hesitate to reach out to us if our assistance is needed on your preferred locations and amenities.